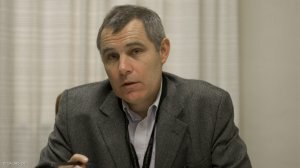 JOHANNESBURG (miningweekly.com) – The short spell of hope for South Africa’s beleaguered mining sector, which burst forth with the election of Cyril Ramaphosa as President, has been dashed, Shadow Mineral Resources Minister James Lorimer said during the mineral resources budget debate. the decision to appeal the court ruling which upholds the principle of once-empowered mining companies remaining empowered in perpetuity. The Democratic Alliance (DA) Member of Parliament drew attention to the drawback of any concluded negotiations, based on discussions currently taking place behind closed doors, still having to face another court challenge, "and if government loses again, there'll still be no charter and no certainty and no investment”. Moreover, the new version of the Mineral and Petroleum Resources Development Act (MPRDA), which was still mired in procedural difficulties four years-plus after being passed, would, at the earliest, only be up for discussion in Parliament in late August, stifling investment. Despite the ANC trying to keep mining’s spirits up, the industry was in dire straits, with South Africa poised once again to miss out on the already-discerned potential global upturn. He criticised South Africa’s employee-intensive gold mines and platinum mines being allowed to die without any government plan to revive them. Resultant 'high-grading' was sterilising remaining ore in the ground for all time, while 'harvesting' was slashing mine life and decimating careers. He could not see why more importance was placed on giving shares to “a handful of cronies” than saving the jobs of tens of thousands of mineworkers, which was resulting in their families being "thrown into poverty”. He accused the Department of Mineral Resources (DMR) of painting a rosy picture that was at variance with what he was continually hearing. This included reports of a senior departmental official demanding R5 000 cash ahead of any rights application discussion, which corroborated the quotation in the latest Fraser Institute report that “the DMR is corrupt and incapable of administering licenses in an efficient manner”. “I’m sure you’ll tell me again that there’s no proof of this, but that’s the perception and it needs to be changed,” said Lorimer. As growing the struggling junior mining sector had the potential to create genuine empowerment, Lorimer called for a lifting of the regulatory burden crushing new entrants. While State minerals research bodies Mintek and the Council for Geoscience were doing useful work, Lorimer reiterated the DA’s call for the closure or radical repurposing of the R60-million-a-year State Diamond Trader, which he charged with “hindering diamond mining by tangling it in a thicket of unnecessary regulation” at a time when diamonds and precious metals were making up most of the R6-billion being lost to illegal mining. The DA alternative would be to change the paradigm for all by properly enforcing fewer non-discretionary rules that were allowed to endure. Most of all, the DA would engender a “working-together” attitude aimed at delivering returns, creating value and generating jobs, “thousands of them”. “So, the ANC has a choice: It can carry on with business as usual and continue with the slow-motion car crash that mining has become, or it can learn from its mistakes and change course completely to grow the industry to the benefit of all our people. We need total change if we are to avoid total disaster,” Lorimer warned.